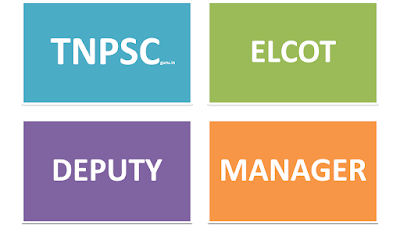 TNPSC - Tamil Nadu Public Service Commission invites online application for the post of Deputy Manager in ELCOT. 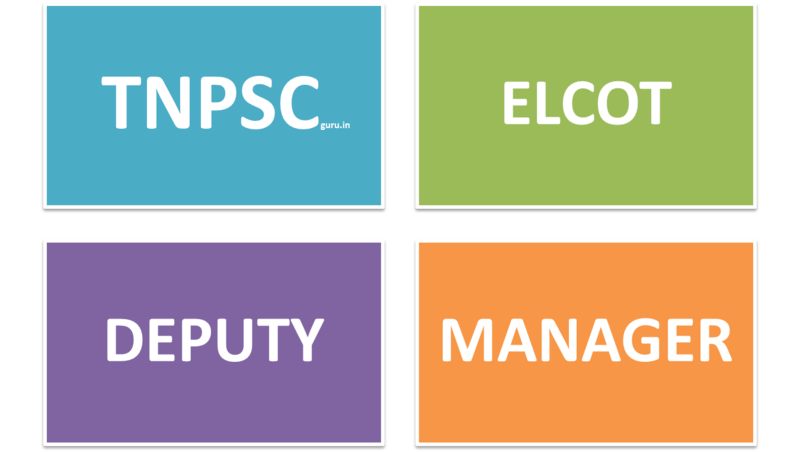 The Detailed eligibility criteria, important dates, exam pattern and many more details regarding the exam and the recruitment process has been mentioned in the TNPSC ELCOT Deputy Manager 2016 Recruitment notification. Eligible candidates can apply only through online mode. You can also check all the upcoming TNPSC Exams 2016-2017. Latest Updates: TNPSC ELCOT Deputy Manager Notification 2016 Published. Exam Date: 2nd &3rd July 2016. Last Date for Applying: 10th May 2016. 2. Five (5) years experience in Software/ Hardware Company. Paper-I (Subject Paper-I) 02.07.2016 FN 10.00 A.M. to 01.00 P.M.
Paper-II (Subject Paper-II) 02.07.2016 AN 02.30 P.M. to 05.30 P.M.
Paper-III (Engineering Aptitude with General Studies) 03.07.2016 FN 10.00 A.M. to 01.00 P.M.
Hall Ticket Download link will be updated Soon. Download here the TNPSC ELCOT Deputy Manager 2016 Answer key. Do you have any information on how many candidates applied for this exam. And where can i see previous year question papers. Hi Lee, I got around 310 questions correct...Any idea on tentative cut off and when results will be published..Thanks..